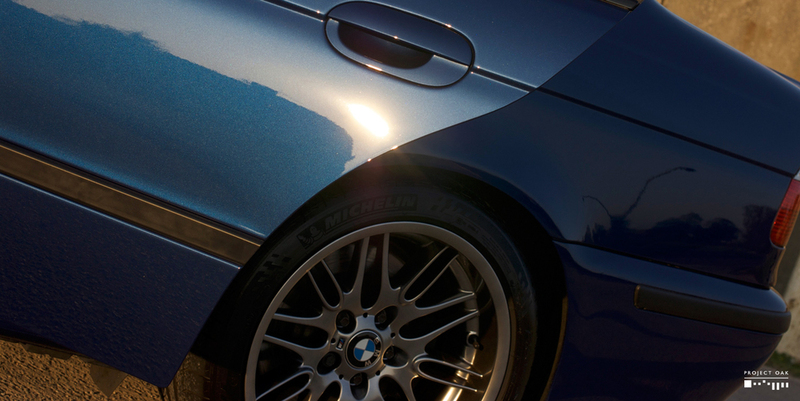 Since the day it became ours, the M5 has been the focus of constant detailing attention. Countless hours of cleaning, hundreds in polishing, repeated through the years of ownership, elevated the M5 to a pristine condition. 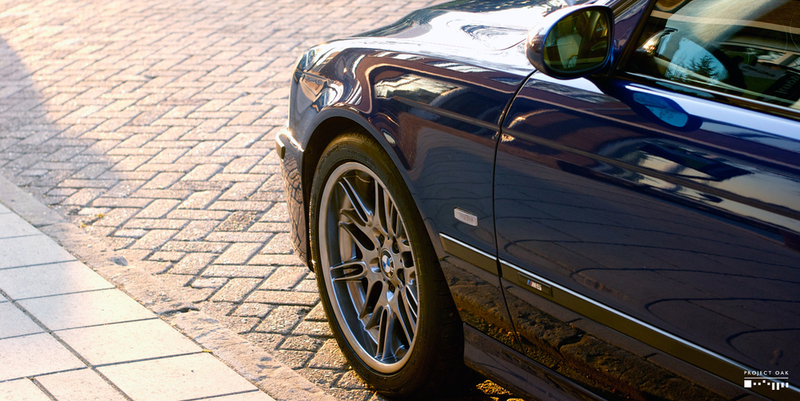 It is a drivers car, enjoyed as such, but maintained meticulously to concours status. It is hard work, but worth it every moment we get to enjoy driving it. 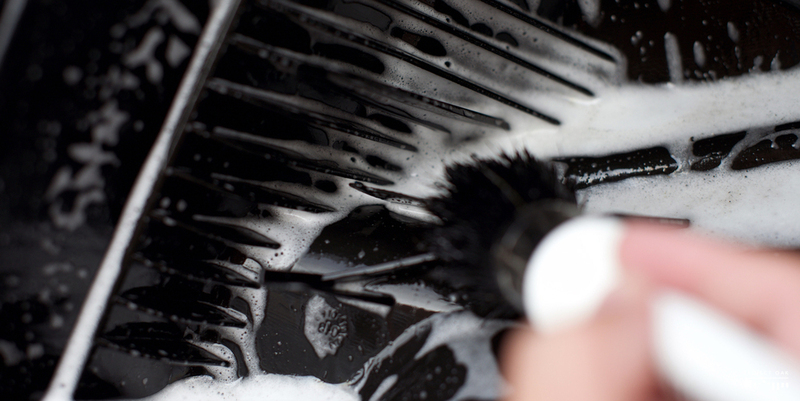 The very first step for a successful detail, is to make sure that every surface is clean and free from contamination. 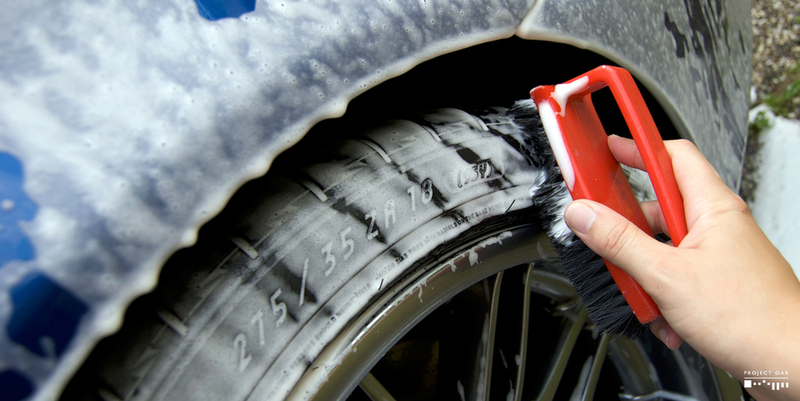 Preparation is key in Detailing. Before the initial wash, all rain drains, panel gaps, door jambs, nooks and cranies, where washed with 10:1 diluted All Purpose Cleaner. 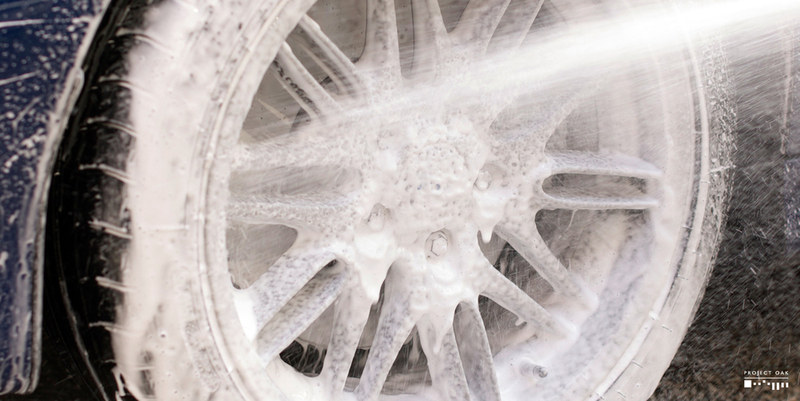 To avoid brake dust splatter on washed paint, the wheels were then washed next, without the use of acidic cleaners that damage the finish. 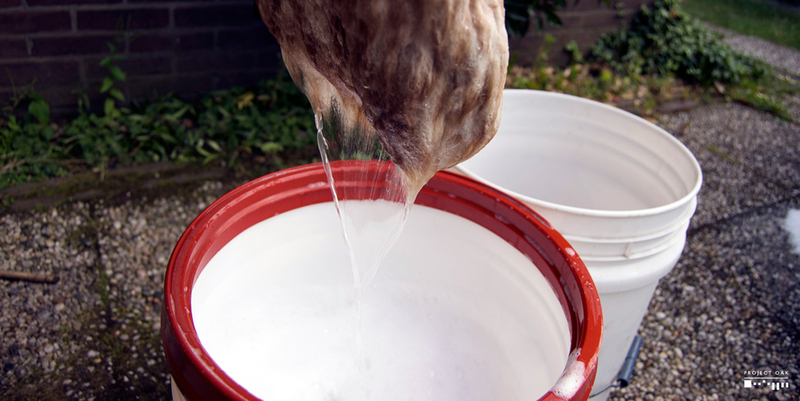 The paintwork is washed gently with a lambswool mitt and two bucket technique. Lastly, the M5 is then clayed, washed once again, dried and rolled into the garage for the next steps. An important step for the engine bay detail of my Le Mans Blue M5, the cabin air filter and engine air filter housings, see a lot of grime, leaves and dirt accumulate after years of usage. 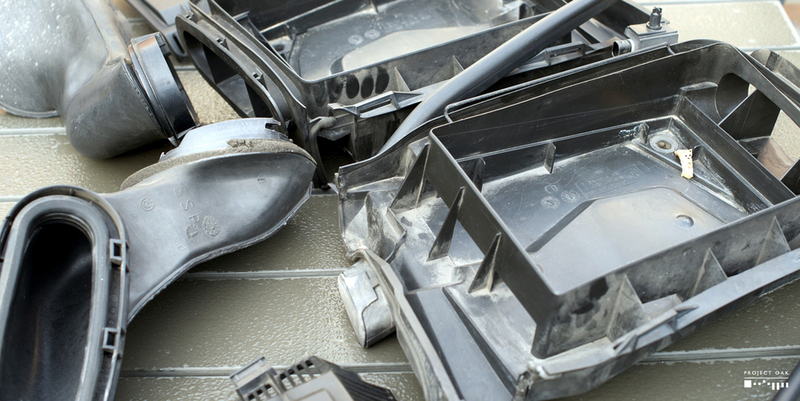 Not only will a dirty filter housing contribute to bad smells into the cabin, but can also get easily clogged and stop draining rain water as designed. 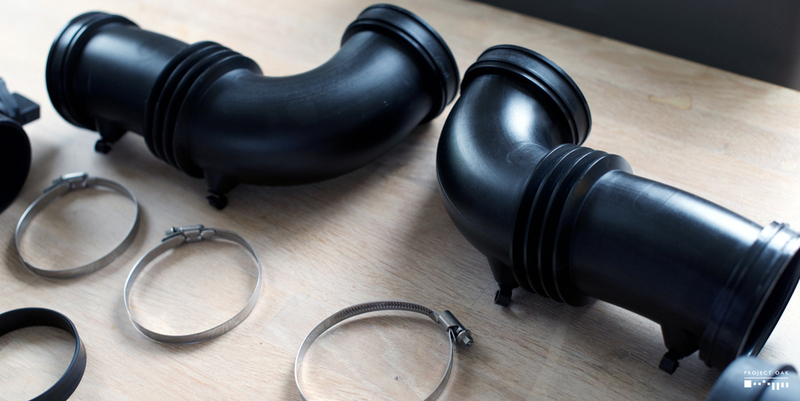 The whole system was taken apart and each piece was degreased, washed individually twice, as the intricate design proved to be a challenge to get all the dirt out. All metal clamps were polished. Plastic was then treated with UV protection. The cabin air filter housings and tubing. 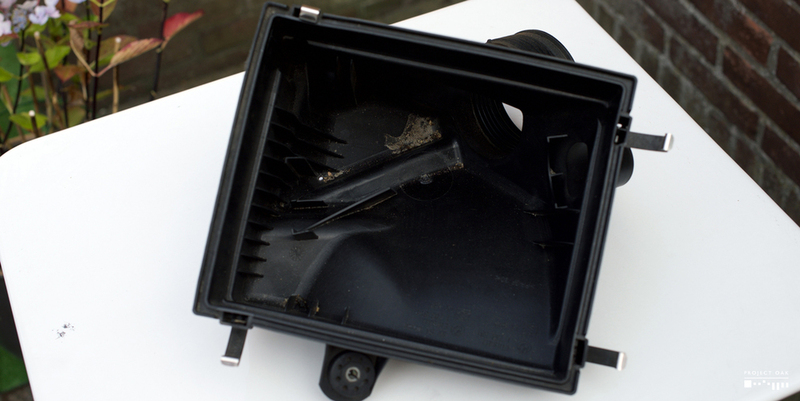 Engine air filter top housing. Despite the relatively low mileage, the M5 interior was not in the best of conditions, as you can see on initial pictures from 2008. After a proper dusting and vacuuming, the cleaning began by washing all plastics, including air vents and seat rails, with a diluted All Purpose Cleaner. The leather was dirty and suffering from a bad attempt at leather coloring. It was intensely cleaned, removing years of body oils and grime. After treatment with a protector, it was now clean and with a natural sheen. The decorative trim was removed - uncovering some lost coins in the process - and polished. The M5 went through a complete leather restoration, with the help from my friend Rui from Car Detail, in the summer of 2009. To prepare for the repaint, we removed the front and rear seats, allowing for full treatment and avoiding overspray in the cabin. Next, we gently sanded and degreased the leather, ensuring a clean and smooth surface prior to repaint. The repaint process was done in stages, controlling the finish as each step was done. The results were fantastic, with the leather feeling soft to the touch and with the natural black finish that rivals factory. Years later, this restoration still withstands the test of time and mileage. M5 waiting at Car Detail, Portugal 2009. The leather door cards were removed for a proper clean. 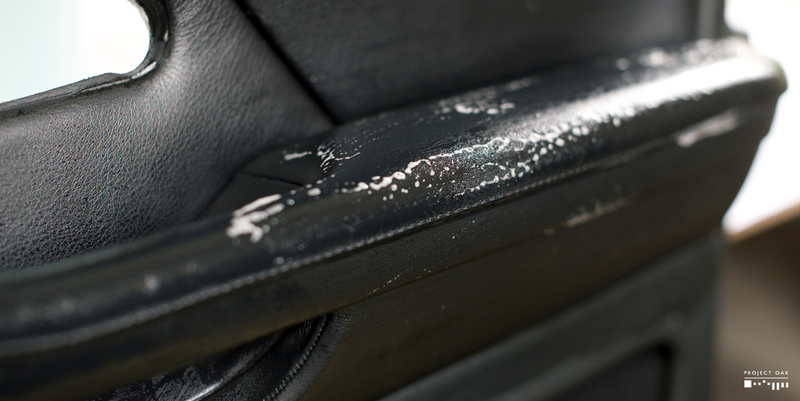 With a Q-tip, every little corner or small area was cleaned, removing a decade and a half of dust that accumulated in areas that are not easy to reach with the door cards installed. 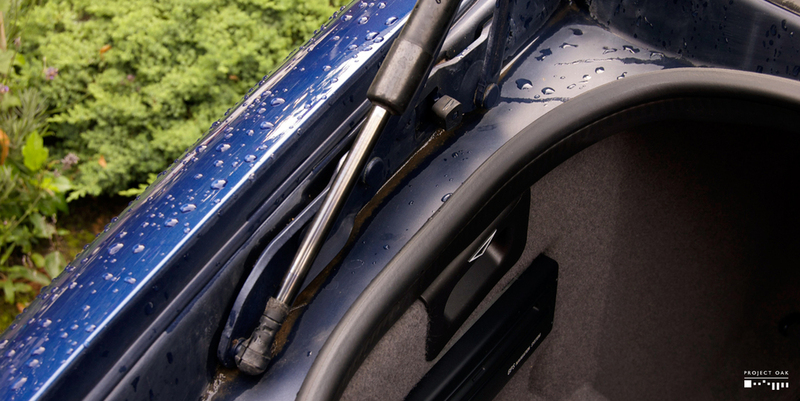 All plastic mounting pins were replaced, as many were broken and creating loose sounds when driving over rough surfaces. 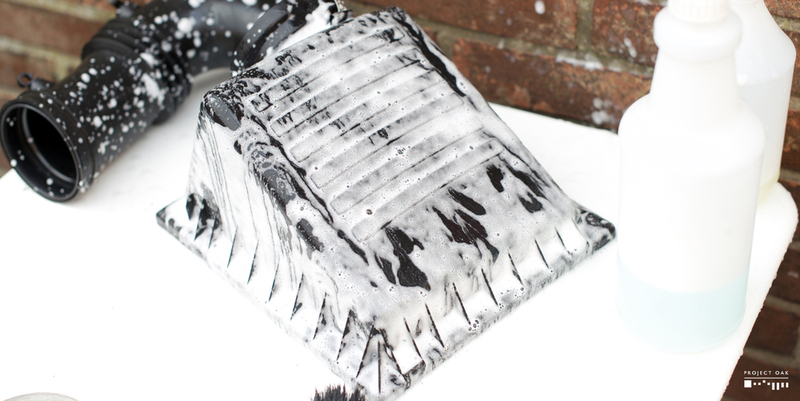 Leather was then washed and protected. 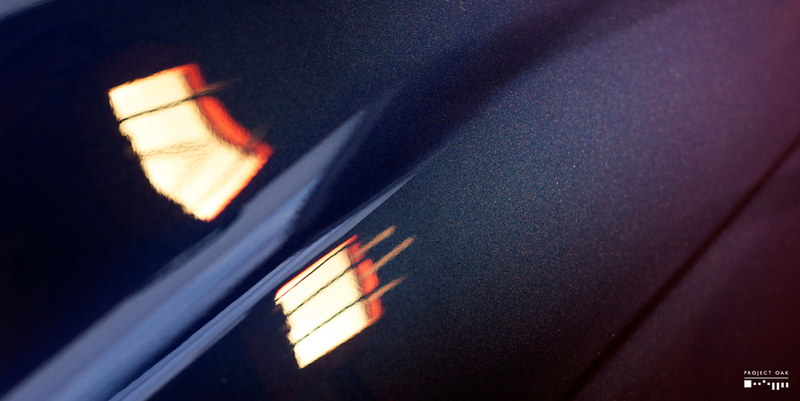 To greatly enhance the look and depth of the paint, have it pure and without defects, is a meticulous technical task that requires above all, patience. 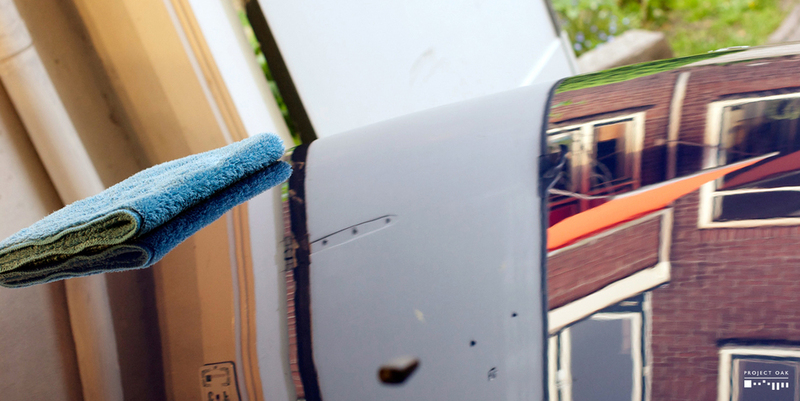 Polishing, the process of creating a shiny, reflective surface, relies on the use of friction, temperature and abrasives, to reduce the uneven texture of a surface and make it as flat as possible. 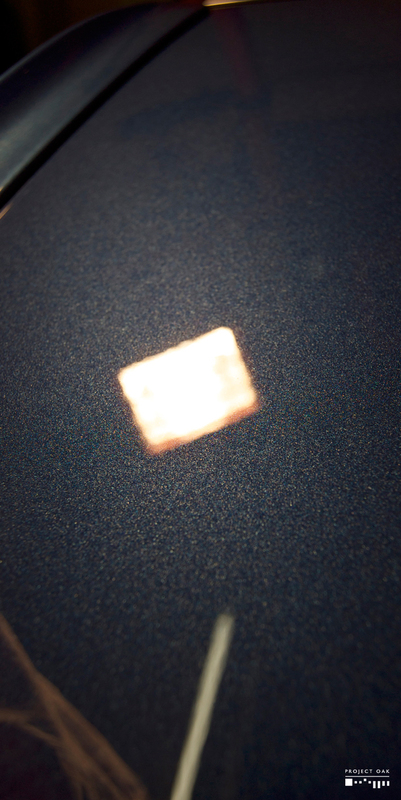 And to achieve that absolute flatness, so reflection can be pure as a mirror, is the big challenge of polishing. 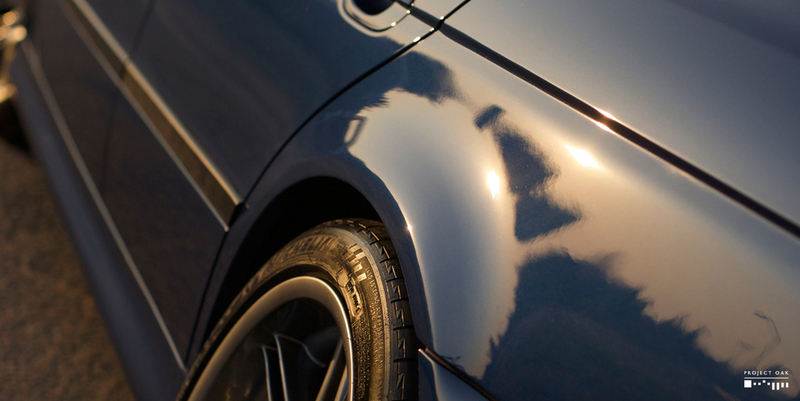 To reach a 95% level of correction and flatness, that creates the highly reflective paint, is only possible through multiple stages of polishing, that go from the most to the least aggressive combination of polish and pad. 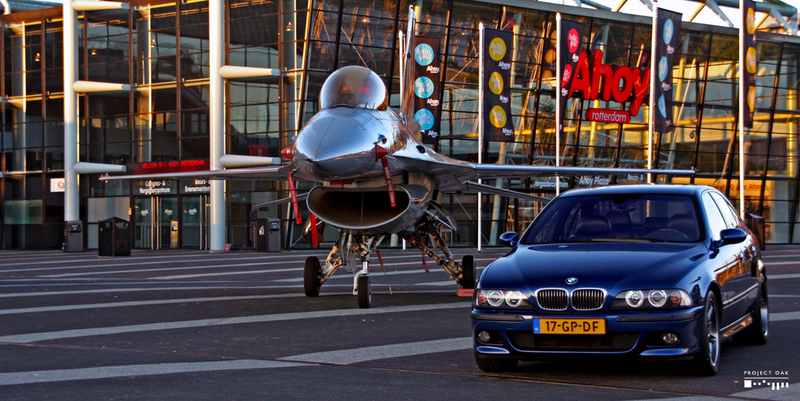 The M5 was spared no expense in time and process to get it perfect. Through multiple polishing steps, taking considerably more than 100 hours of polishing, the Le Mans Blue that was faded and swirled from improper care, was restored to a defect free finish, proper of concours condition. 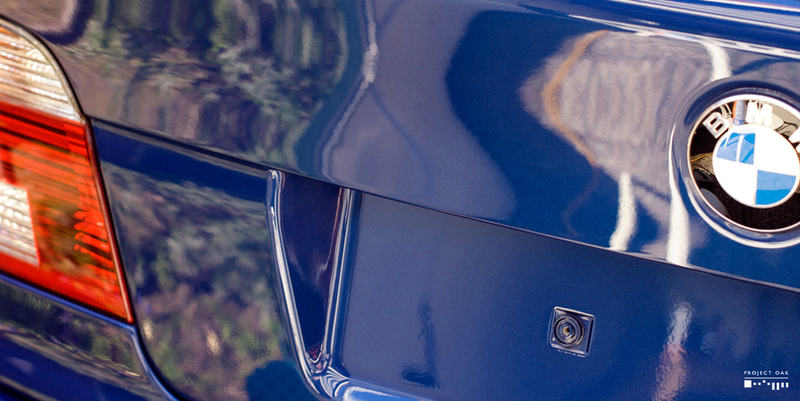 Le Mans Blue is simply a stunning color, that when detailed to high standards, becomes rich, deep and glossy to a level capable of challenging the darker colors for reflectiveness. 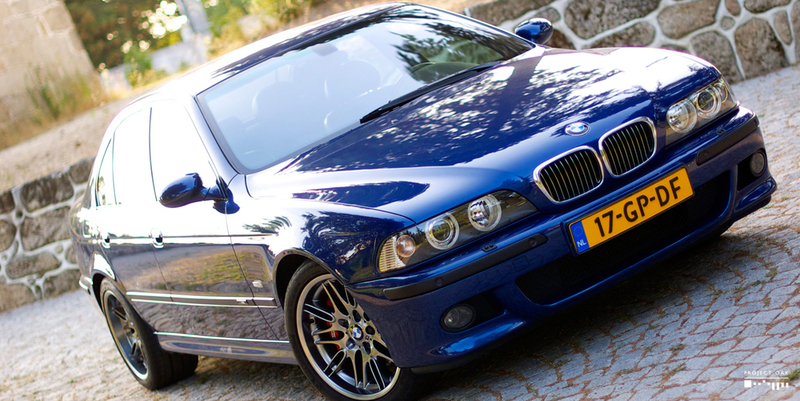 In my opinion, Le Mans Blue, with its elegance and sportiness, is one of the best colors for the E39 M5. Mid progress on the bottom of a rear passenger door. 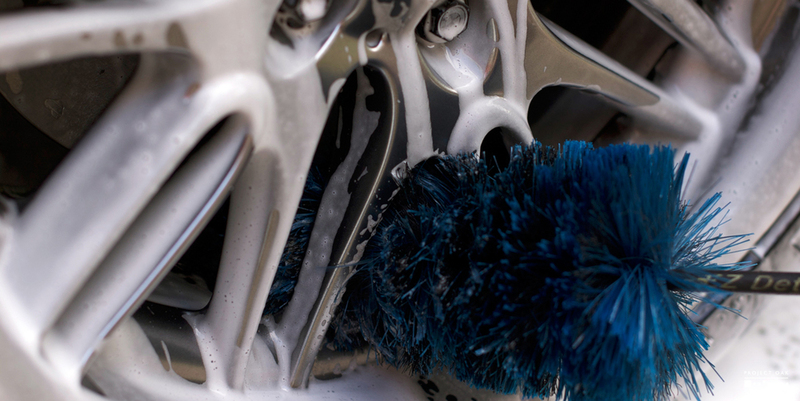 After the polishing stage is complete, it is important to protect the results achieved. 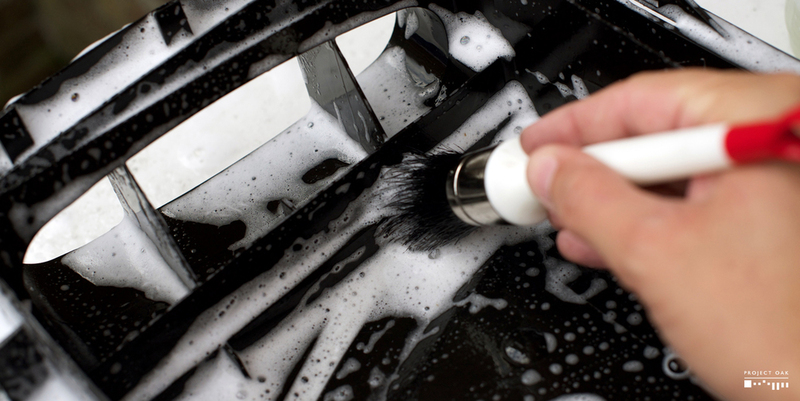 Long gone are the days of carnauba waxes for paint protection, that depend on plant oils for its hydrophobic properties. 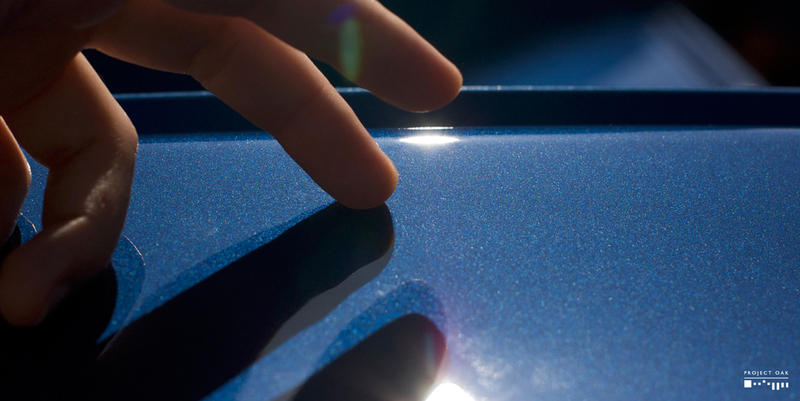 Now, technology is in and the Nano-Crystal Sealants have taken over, with its combination of organic and inorganic layers, that offer enhanced durability and shine that lasts for years. 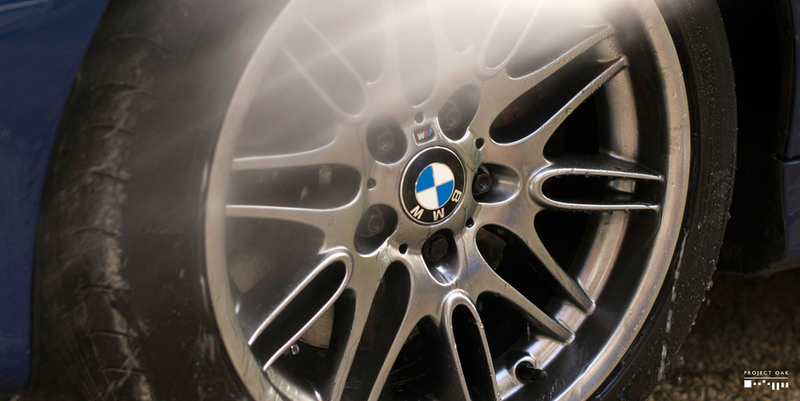 It is that durability and protection, associated with proper washing techniques and detailing maintenance, that has kept the M5 always looking sharp since 2008. 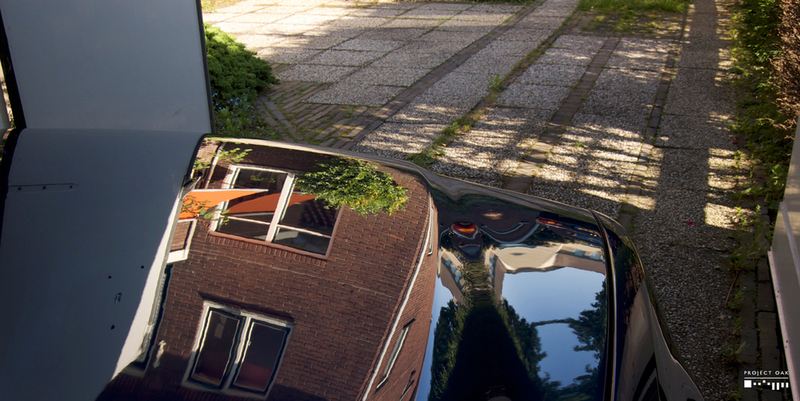 Paint surface temperature easily above the + 20ºC required for the sealant application. Paint protection is guaranteed by Gtechniq EXO. Mauris sed scelerisque metus. Proin vitae elit id purus sagittis sodales sed nec eros. Donec erat enim, consequat eu lacinia nec, pretium non nibh. Cras varius blandit suscipit. Nunc enim quam, tincidunt id commodo a, ullamcorper ac justo. Sed luctus augue et lectus pharetra pulvinar. Vestibulum quis turpis in mi faucibus vehicula eget blandit lorem. Quisque consectetur, velit vitae dapibus cursus, elit lorem pharetra lorem, ac luctus elit nulla ut nisi. Phasellus id scelerisque diam. Nunc enim quam, tincidunt id commodo a, ullamcorper ac justo. Sed luctus augue et lectus pharetra pulvinar. Nunc enim quam, tincidunt id commodo a, ullamcorper ac justo. Sed luctus augue et lectus pharetra pulvinar. Vestibulum quis turpis in mi faucibus vehicula eget blandit lorem.